A new month has just started and you know what that means...sales figures! Volkswagen has been struggling to gain traction with American buyers and overall sales were down 19 percent, but it's not all bad news. While folks are passing on the Passat and Jetta, the new 2015 Golf is on track to be a hit. Over the summer we reported that Golf sales were down and many outlets viewed this as just another notch in VW's sales failure belt. But we theorized that most folks were holding out for the MK7 models that were just making there way onto dealer lots. In turns out, we were probably right. 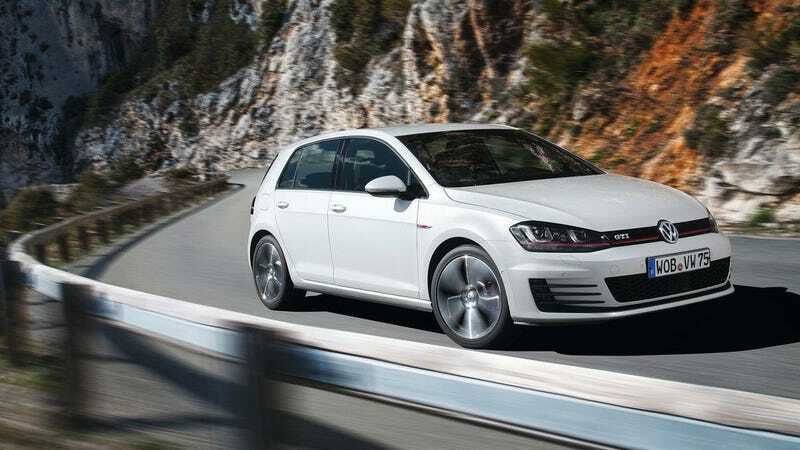 Dealer inventories of the MK7 Golf/GTI are still relatively limited, but buyers are snatching up the updated hatchback. Let's take a step back for a second, because the Golf/GTI are cars that were NOT specifically designed for the American market. Yes, they are assembled in Mexico to keep costs down, but they are still very German. Many of us have discussed at great length why VW is slipping and what they need to do to get back on track. The crux of most arguments comes down to what made VW popular in the first place. They were a funky, fun, and slightly upscale German brand that was accessible to the masses. Almost everyone who has been driving for some time has a favorite Volkswagen, whether they owned it themselves or just took a spin with a friend. My mom has had several Hondas/Acuras and praises their reliability, but if she could go back in time she would have never given up her 89' Jetta GLI 5-speed. VW never made "perfect" cars, but what they lacked in longevity they made up for in character. Most critics agree that the MK7 Golf/GTI is the best example of VW's legendary hatch. It is a car that speaks to the essence of VW, I would even go as far to say that the Golf is to VW as the 3-series is to BMW. The Jetta and Passats were once, spunky sedans for people who wanted something a little different and a bit more fun than the Japanese choices. But then the brand tried to out-do the boring choices in the name of sales, "Biegekrieg" took over and that's when the trouble really began. The new Jetta, current generation Passat, Tiguan, and Toaureg were all designed for the "American" customer, the issue is they don't have the character and lack the value. VW knows the Golf is not for converts, it is for the VW faithful. When a brand turns inward and focuses on what made them special, people notice. Maybe VW needs to focus on what they do best and then the audience will follow.